Imagine coming home to find out that your dog had done a number on one of your prized pairs. It probably hurts just thinking about it, right? That's exactly what happened to Cleveland Cavaliers' Iman Shumpert, who discovered that his dog, Basquiat, had gotten ahold of his "Moonrock" Yeezy Boost 350s. 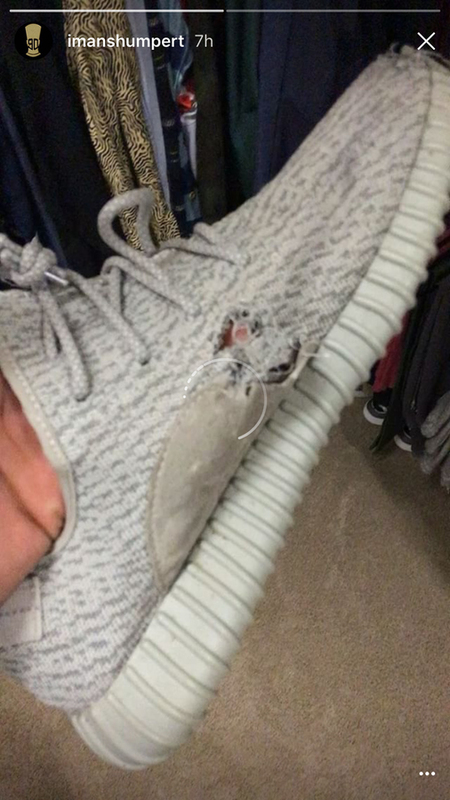 The Primeknit-based Yeezys didn't stand a chance against the pup, who chewed a hole through the toe and side of the rare sneakers. Fortunately for Shump, he's team Three Stripes, so he can likely get a replacement—or even upgrade to the 350 V2—with a quick phone call. Take a look at the damage below.